Welcome back to Sponsor Pipeline Insights, where we pick regions around the world and examine the most active clinical study registrants. In this edition, we’re visiting Japan, one of the most active regions in Asia. If you missed part 3 of the series, you should check it out here to learn more about the most active clinical study registrants in France! First up on the list is Matsumoto’s GI and CNS focused Kissei Pharmaceutical Co. Of their 6 active studies across their pipeline, 3 have been registered within the previous 12 months. 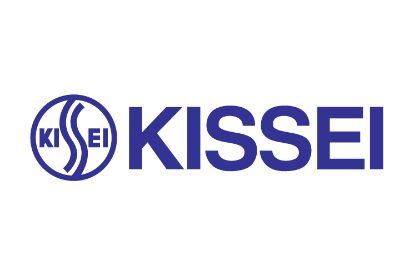 Kissei currently has 1 oral tablet candidate (GLUBES) in the NDA stage for treatment of Type II Diabetes Mellitus, with a biosimilar candidate (JR - 131) co-developed with JCR Pharmaceuticals for the treatment of Renal Anemia. Early last month, Kissei registered a Phase II study for their KDT-3594 Parkinson’s disease candidate, designed for patients in the early stages of the disease. Have a Zymewire account? Click here to track Kissei Pharmaceutical Co.’s global activity! Next is Tokyo’s Nobelpharma Co., a private clinical stage sponsor developing a broad pipeline of in house and outlicensed candidates across CNS, reproductive health, and musculoskeletal indications. They currently have a range of outlicensed products, mostly targeting oncology. One of their goals is to develop drugs that may be currently approved in the US and EU, but not Japan, so that they may address unmet needs of the region. They have registered 3 of their 8 currently active studies in the last year. Nobelpharma recently marked the completion of a long term Phase III interventional study for their Rapalimus Gel (NPC - 12), targeting Tuberous Sclerosis Complex. The completion update was retroactive to October 2018. Have a Zymewire account? Click here to track Nobelpharma Co.’s global activity! Over in Osaka is one of Japan’s largest and oldest sponsor companies, Ono Pharmaceutical. Primarily focusing on oncology, neurological disorders, and unmet needs, Ono develops various products with numerous discovery alliances, and licensing and co-promotion partners worldwide. Their most notable partnership being with Bristol Myers-Squibb for the development of anti-PD-1 Monoclonal Antibody cancer drug, OPDIVO, after BMS’ 2009 acquisition of Medarex. Of their 57 active clinical studies, 4 have been registered within the previous 12 months. Last week, Swiss oncology company, Helsinn Healthcare, announced that Ono Pharmaceutical had recently submitted an application for the manufacturing and marketing approval of anamorelin (ONO-7643) in Japan. Anamorelin will be marketed as a cancer support therapy in the treatment of Cancer Anorexia-Cachexia. The candidate is also in Phase III for global marketing against Cancer Anorexia-Cachexia in patients with Non-Small Cell Lung Cancer (NSCLC), Phase II for Cancer Related Fatigue (Managed by MDACC), and Phase I for marketing in China for Cancer Anorexia-Cachexia in NSCLC patients. 2018 performance compared to the 2017 fiscal reports won’t be available until after March 31st’s year-end, but revenues have risen steadily over the past several years, while profits have fluctuated year to year. Dividends per share have remained the same YoY from 2008 - 2016 (180 Yen/share annual) until a 1:5 stock split in 2016. Have a Zymewire account? Click here to track Ono Pharmaceutical’s global activity! Another one of Japan’s oldest pharmaceutical companies, Mitsubishi Tanabe can trace some of their storied roots back to 1678 when Tanabeya Gohei started Tanabeya Infusing Medicine. After a series of mergers and trade name changes, the existing corporation of today was created in 2007. The company has a diverse pipeline of in house and licensed candidates spanning Autoimmune, metabolic, CNS, vaccines, and other indications. In the last year, they have registered 5 of their 10 active studies. Last week, Akebia Therapeutics ($AKBA) announced postive top-line results in a pair of Phase III studies of Vadadustat (MT-6548) for Japanese patients. Regulatory submission for the licensed Renal Anemia candidate is expected sometime this year. Mitsubishi Tanabe hasn’t made a 2018 fiscal year report available at the time of writing, so their performance compared to 2017 is unclear. The 2017 report indicated a lower forecasted New Drugs and Priority products revenue (- 2%) and higher overseas revenue (+15.3%), accounting for ramping US business development for Radicava and royalty revenue from Gilenya and Invokana. Have a Zymewire account? Click here to track Mitsubishi Tanabe’s global activity! Part of J&J’s complex umbrella is Tokyo’s Janssen Pharmaceutical K.K, the Japanese division of Janssen Pharmaceuticals. Formerly known as Janssen-Kyowa Co., Ltd., they adopted their current moniker in 2002. With a pipeline and product catalogue focusing on oncology, immunology, CNS, pain symptoms, and infectious disease indications, they have registered 5 of their 10 active studies within the previous 12 months. They recently signed a co-promotion agreement with Nippon Shinyaku Co. for an oral androgen receptor inhibitor, Apalutamide, for patients with Non-Metastatic Castration-Resistant Prostate Cancer. The novel drug is the first therapy of its kind, and was granted FDA approval in February 2018. This was following an FDA priority review of the NDA based on the Phase III data from the SPARTAN clinical trial. Have a Zymewire account? Click here to track Janssen Pharmaceutical K.K’s global activity! Headquartered in the Bunkyō-ku area of Tokyo is Eisai Co. Ltd., another of Japan’s largest pharmaceutical companies. They have a variety of international subsidiaries operating under variations of the same moniker. Largely focusing on oncologic and CNS related candidates, Eisai has an expansive development pipeline across many regions of the world, with 5 of their 29 active studies being registered in the past year. This month, Eisai partnered with TRIA to design their new Center for Genetics Guided Dementia Discovery (G2D2) in Cambridge. The 50 000 square foot lab and office has an expected completion of mid-2019, and will house Eisai’s neuroscience R&D team. Eisai hasn’t released a full 2018 annual financial report at the time of writing, but the February 2019 report for Q3 2018 indicates that overall revenues and profits are up 6.2% and 42.6% from the same 9-month period in 2017. Dividends per share for 2018 are forecasted to match 2017 at 80 Yen/share. Have a Zymewire account? Click here to track Eisai’s global activity! While officially formed from the 2005 merger of Fujisawa Pharmaceutical Co., Ltd. and Yamanouchi Pharmaceutical Co., Ltd., Chūō-ku, Tokyo’s Astellas can trace their roots back to the late 1800’s. Their pipeline focuses on several priority R&D areas across oncology, urology, nephrology, immunology, gastrointestinal, and CNS. This week, a new research partnership between Astellas and NapaJen Pharma was announced, with the two companies collaborating in the development of novel oligonucleotide based therapies. Under the terms of the agreement, Astellas will provide payments and R&D research, with potential for milestone related payments later on. The new therapies will be based on NapaJen’s immune cell-targeted oligonucleotide delivery technology. Based on Astellas’ 2018 annual report, both revenues and profits for the year experienced drops of 0.87% and 4.22%. Year end dividends increased by 5.9% to 36 Yen/share. The financial summary cited foreign exchange rate fluctuations and a 0.9% decline in YoY consolidated sales due to “impact of generics in Japan”. The Americas, Asia & Oceania, and EMEA regions all experienced increased sales, while Japan’s sales fell. Have a Zymewire account? Click here to track Astellas’ global activity! Also a resident of Tokyo’s Chiyoda-ku, Kyowa Hakko Kirin Co. focuses on oncology, nephrology, immunology, and CNS indications, developing drugs across antibody, small molecule, and nucleic acid modalities. Across their pipeline of 22 active studies, 9 were registered in the previous 12 months. Their late stage pipeline is comprised of 14 candidates across Phase II and III, with several having expected completions in 2019 and some being jointly developed with other organizations. The company recently re-submitted an NDA in the United States for Istradefylline (KW-6002), their selective adenosine A2a receptor antagonist for Parkinson’s patients. The candidate has been marketed in Japan since 2013, but was issued a non-approval from the FDA in 2008. Overall revenue for the 2018 fiscal year fell from the previous period, but after tax profits rose 27%. Dividends rose 29.6% to 35 Yen/share, and is forecasted to climb to 40 Yen/Share (+14%) for the 2019 fiscal year. Have a Zymewire account? Click here to track Kyowa Hakko Kirin’s global activity! Subsidiary to the diverse Otsuka Holdings company, with a web of divisions that span medical device, pharma, and food products, Otsuka Pharmaceutical is a global brand with a far reach. Their R&D efforts are separated between their two business units, pharmaceuticals and nutraceuticals. Pharma focuses on developing a pipeline of treatments for indications across CNS, Oncology, Cardio-Renal, Nephrology, Gastrointestinal, Infectious, Ophthalmology, and Dermatology, with 10 of their 27 active studies being registered in the previous 12 months. Last month, Health Canada approved Otsuka and Lundbeck’s co-developed REXULTI (Brexpiprazole) for adjunct use with antidepressants in patients with major depressive disorder. The drug is also undergoing global trials for the treatment of manic episodes associated with bipolar I disorder, but they recently failed to meet their primary endpoint, leaving the companies to decide what the next steps will be. Other indications that Brexpiprazole is being evaluated against worldwide are: Agitation associated with Alzheimer’s type dementia (Phase III), Post-traumatic stress disorder (Phase II), and Schizophrenia (Phase I). Dosage for all indications are orally administered, except for Schizophrenia, which is via injection. As with some of the other companies, a report for the 2018 fiscal year has not been made available at the time of writing, so performance against the previous period is unclear. 2017 revenues for the pharma unit had experienced an increase of 2.9%, while profits fell 11.1% compared against 2016. ‍Have a Zymewire account? Click here to view Otsuka’s global activity! It comes as no surprise that one of Japan’s top drug companies by revenue is also one of the most active. Also out of Chuo-ku, Tokyo, Daiichi Sankyo is focused on their pipeline of oncology, vaccine, and other specialty medicine candidates, with 13 of their 55 active clinical studies registered in the previous 12 months. Recently, it was announced in the New England Journal of Medicine that their EU marketed oral Bempedoic Acid/ Ezetimibe combination therapy, developed in a licensing agreement with Esperion Therapeutics ($ESPR), had achieved positive Phase III results. The daily cholesterol medication was able to demonstrate a significant reduction in LDL cholesterol (-18.1%) and cardiovascular disease inflammation marker, hsCRP (-22%) in study participants. The results are part of “the largest bempedoic acid study to date”, and the therapy will bolster Daiichi Sankyo’s existing cardiovascular lineup. 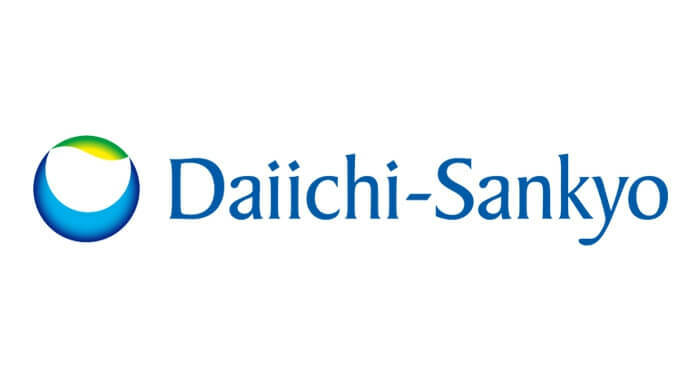 Daiichi Sankyo’s 2018 fiscal year will close on March 31, so there is no recent annual report for analysis. Their 2017 fiscal reports showed a 0.5% growth in revenue and a 14.2% decrease in profits, citing increased cost of sales, European and US restructuring expenses, and ForEx influences. Dividends remained neutral across 2016 and 2017 at 70 yen/share, and was forecasted to remain the same through 2018. Have a Zymewire account? Click here to view Daiichi Sankyo’s global activity! Rounding out the list for this edition is Chūō-ku’s, Takeda. With four therapeutic areas of focus, the company’s pipeline spans oncology, gastroenterology, neuroscience, and rare diseases. Having registered 39 of their 117 active studies in the previous 12 months, they are not just Japan’s largest drug sponsor by revenue, but clinical activity. Have a Zymewire account? Click here to view Takeda’s global activity! Japan has a complex market that changes frequently. If you’d like to track what’s happening and watch for the signals that are important for your team, test drive the solution that is supporting business development teams at more than 250 service providers around the world. We’re here to help!